Regular grooming is essential for your dog, not only because it keeps them clean and glossy, but more importantly, it makes your dog stay healthy, prevents hair from knotting, and takes away dirt and other outdoor debris. But how often should you bathe your dog? The answer to this question depends on the condition and living environment of your dog. Here are some factors you might want to consider before making the decision to groom your dog. Unlike humans, dogs tend to absorb all the allergens from the outside world through their skins, and that’s why sometimes they become pretty bothered and try to reduce the itchiness by rubbing trees or furniture. Under this circumstance, weekly bathing can help prevent the itchiness by eliminating the chances for allergens to penetrate the skin. It’s certain that dogs who spend their time outside, rolling around dirt or running in the rain, are going to need a bath much more often than those who stay at home lying on the couch. So unless your dog is not a fan of outdoor activities, regular bathing is needed whenever he/she gets dirty or smelly. However, there is a tradeoff: Too much grooming will take away the natural oils from your dog’s coat which protect the skin, and leaves it dry without luster. The living environment is also an important factor. Does your dog sleep with you in the bed? Or is anyone allergic to dogs at your home? If your answers to these questions are positive, then you probably need to groom your dog on a regular basis, from once a week to once a month, depending on the breed, which is what we are going to discuss in the next section. 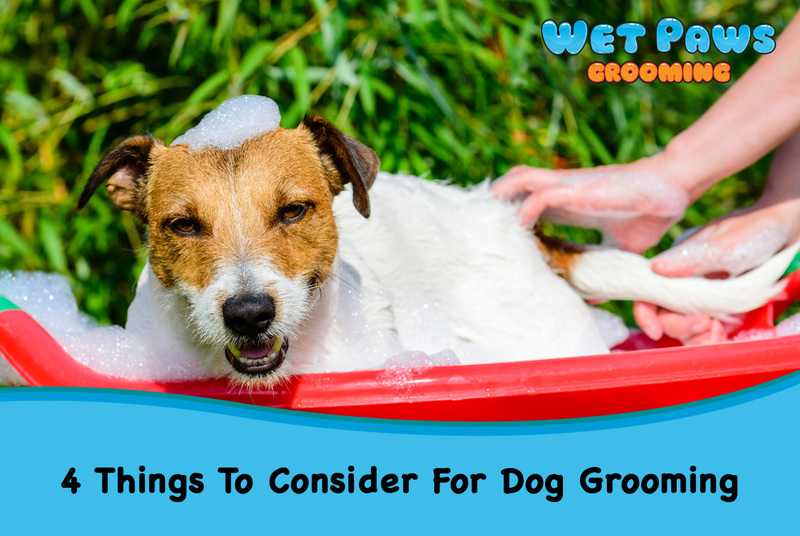 You certainly don’t want your dog leaving dirt or other grime on your bed or couch, but as we mentioned above, too much bathing is also not an optimized solution. So make sure you consider the tradeoff in advance. Breed also plays an important role when it comes to the frequency of grooming. In general, Dogs with long hairs needs to be bathed more to protect them from skin irritation, but dogs with water-repellent coats such as Golden Retrievers should be bathed less often in order to protect the natural oils on their coats. Also, for dogs with short hairs, they will do just fine with fewer baths. Finally, those with thick, double coats such as Siberian husky, are recommended to take fewer baths but lots of brushing. Keep these factors in mind while deciding to give your dog a bath, as these will help them stay healthy and clean. And a clean dog is a happy dog! Bathing is not as simple as it seems, as there are so many different types of coats that need to be addressed separately, if you don’t have the time, space or find it too complicated to do the bath by yourself at home, feel free to give Wet Paws Grooming a call. Our professional mobile grooming team will come to you and help you make your dog clean again! West Los Angeles, Beverly Hills, Bel Air, Culver City, Santa Monica, Hollywood, West Hollywood, Sunset, Malibu, Westwood, Brentwood, Marina Del Rey, and Los Angeles.